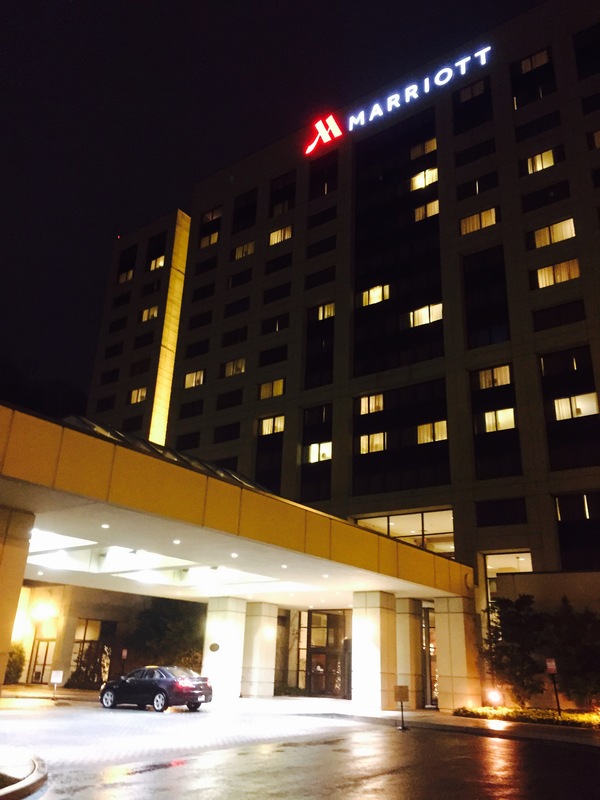 Airport Marriott, Pittsburg, PA | Should We Go There? Tonight I have the opportunity to stay at the Marriott Hotel near the Pittsburgh airport. This is a short visit for me so I was not able to explore the entire hotel as I usually do, but I will tell you about the things I was able to see while I was here. As we pulled up to the hotel my first impression was that the building itself is very large and impressive. However, and it’s my opinion only, I believe the lobby area is a bit outdated and needs to be upgraded. The lobby bar appears you have been updated more recently and is very comfortable. The guest room is clean, but also appears to be in need of updating. The bathroom has all the amenities and all of the toiletries that you’ve come to expect for Marriott hotels. The staff is outgoing and friendly and willing to help whenever they possibly can. Basic Internet is free but the hotel also offers a higher speed Internet for a small fee. Overall, the hotel is a good choice if you need a hotel close to the airport. They offer complimentary van service to and from the airport, which seems to be regular and reliable. While other Marriott hotels for lack of better word appear to be “fancier”, I would definitely recommend this hotel.